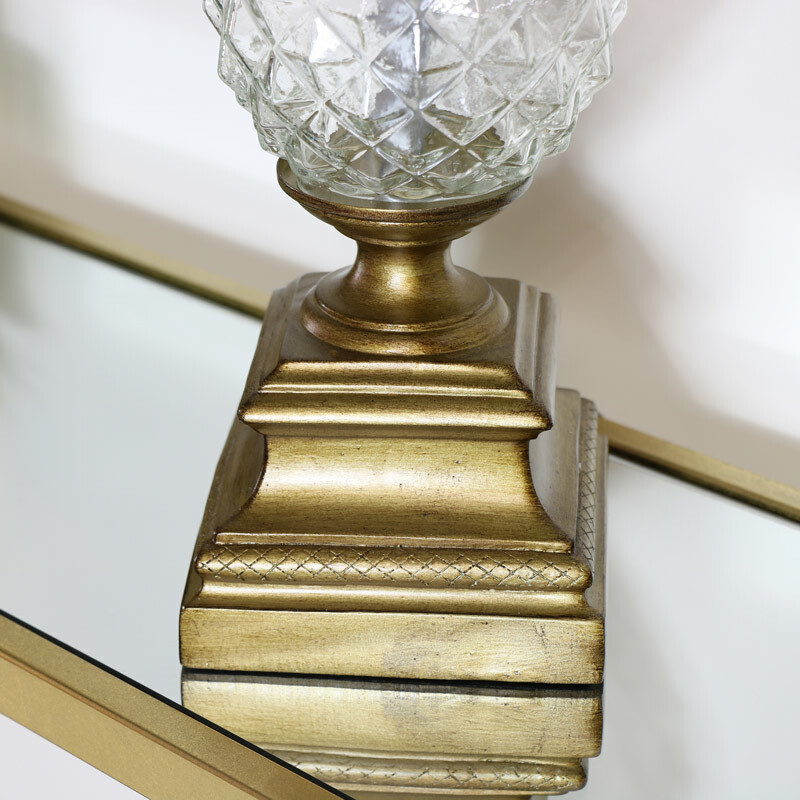 Give your living room a perfect statement piece with this vintage and quirky inspired table lamp. 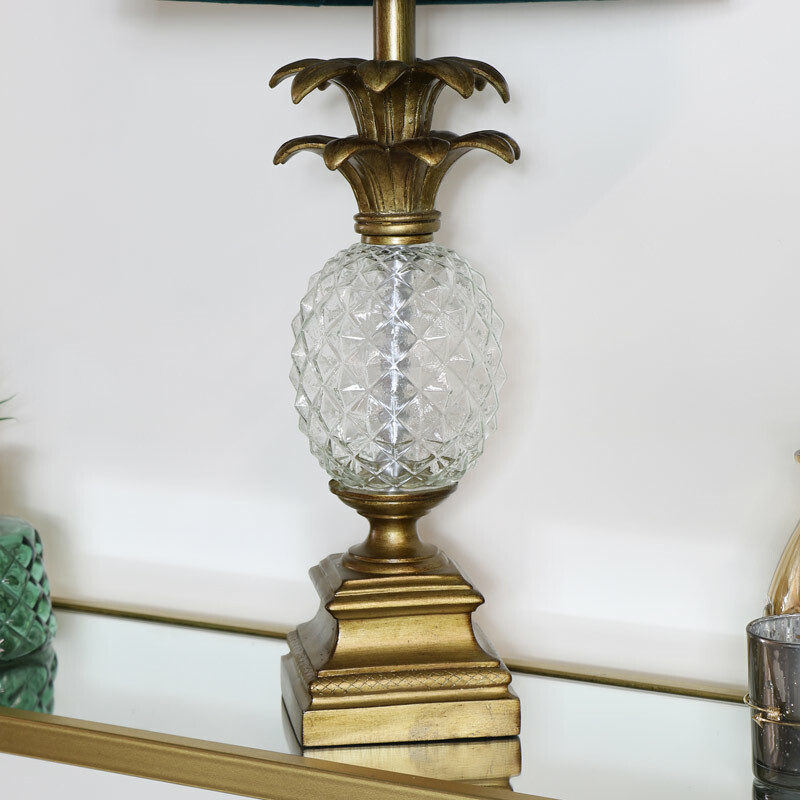 Showcasing a cut glass pineapple perched proudly on a gold base and crowned with a teal shade. Perfect for the modern, contemporary interior and suitable for the bedroom and hallway as all rooms desire some extra lighting in a glamorous fashion. We understand the importance of introducing lamps and lights to your decor which is why we offer a large range of lighting in all styles and designs. 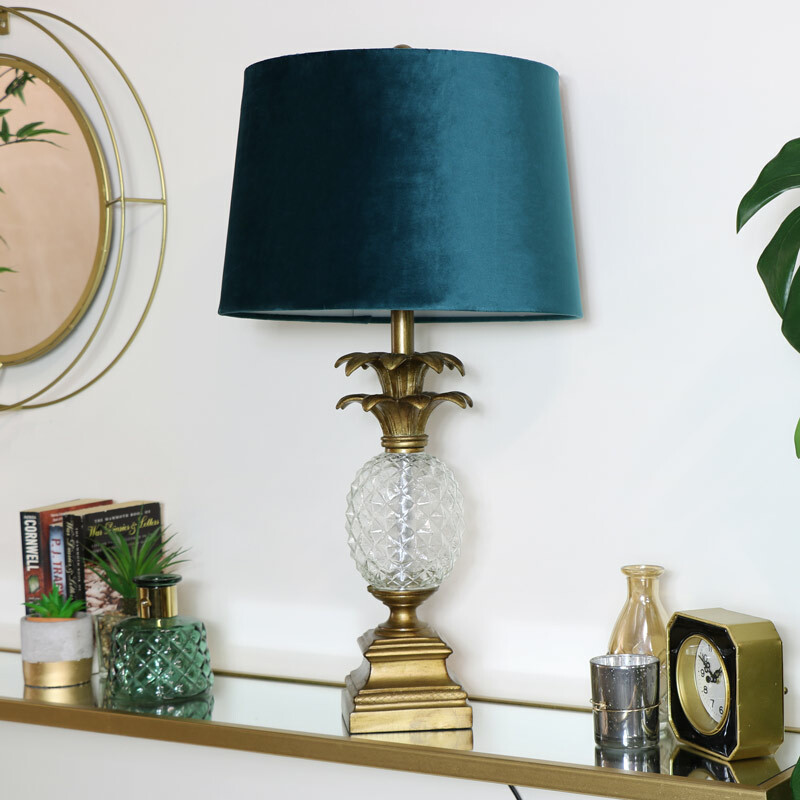 Constructed with a cut glass pineapple shaped feature in the centre of the lamp base and gold pedestal foot with a teal blue drum shade. The lamp takes a E14 60watt max screw in bulb, inline switch and features a standard UK plug.